Many, many years ago you would go to a retail store and clerks would manually enter the price of your item into a cash register. That seems so long ago, something that a whole generation of people today may not even know about it! The invention of the barcode changed not only retail but businesses big and small everywhere. The simple printing of varying line widths cut time and costs for business while increasing efficiency and productivity. Technology has advanced even more to allow businesses to print their own barcodes in-house with a barcode printer. There are factors to consider before purchasing one. Barcode printers come in two sizes, desktop and industrial versions. Desktop printers are smaller and can be kept on the desk and come in 2 inch to up to 6 inchlabel widths. These are suited for manufacturing, distribution, healthcare and logistics applications among many others. Resolution refers to how sharp the image will be once it’s printed. The first step is to determine what you will be printing. A regular resolution printer, 203 dpi, is ideal for printing most barcodes and shipping labels. A higher resolution printer, i.e. 300 or 600 dpi, is needed if the barcodes are denser or you wish to add graphics to the label. This would require a higher resolution printer. After determining your basic needs then you need to choose between a direct thermal printer or a thermal transfer printer. This type of printer doesn’t use toner, ink or ribbons to put the image on the label. Images are transferred when the print head is heated and then the images are directly transferred to the label. A direct thermal printer is well suited for temporary barcodes like receipts and shipping labels. It is not ideal for barcodes that need to last for longer periods of time, over 6 months. Exposure to heat or sunlight and age cause the label to yellow over time and fade. A thermal transfer printer offers a more permanent and crisp image on labels and materials. This version works by a thermal print head applying heat to a ribbon which melts ink onto the surface. The printing is of higher quality, lasts longer and prints on a wider variety of surfaces. It is also a good choice if you need to print in color or have denser barcodes or graphics. Implementing a barcode system into your business can help in many ways. They are an ideal way to keep track of inventory, improve customer transactions and the shipping process. 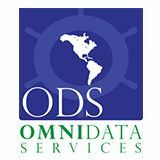 OmniData Services is your one stop shop for a variety of commercial printer manufacturers. Barcode printer sales & service for Honeywell, Datamax-O’neil, Intermec and Okidata printers have been part of our core business since 1990; and, we have been expanding our product line ever since. At ODS, we are known for our superior service, high quality products, competitive pricing and short lead times. We ship worldwide. Contact us for more information on our project management services and printer solutions for your company.